Gapi has financed tractors, farm implements and tools that have enabled the Macuvulane farmers Association at Magude, to dramatically boost production. At a ceremony this week, a third tractor and tools were handed over at a joyous and colourful ceremony at the Association’s headquarters. Gapi established a partnership with the Farmers Association in 2005 managing funds provided by the Small-Scale Irrigation Project (SSIP) an initiative of the African Development Bank. Today, the Farmers Association and its members have some two hundred (200) hectares with irrigation and water pumps. In 2007, Gapi financed the first tractor and asecond in 2009. Although, the SSIP initiative ended in 2008, Gapi continued to support this association that now also encompasses a credit union. 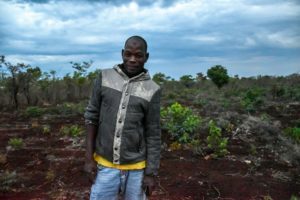 The Macuvulane Farmers association has learned how to overcome difficulties and is today a reference project and an inspiration to many how to profitably produce sugar cane and vegetables. Most importantly, despite the many challenges faced, the Association has always honored its loan repayments. Approximately 30 millions meticals (US$ 500 000) has been provided. A crucial factor for success has been the continual technical assistance, business training and extension services support provided by Gapi. Gapi not only provides financial capital but also, crucially, supporting technical assistance. Gapi has also fostered a solid relationship with the Xinavane sugar refinery as a key market for the sugar cane. The farmers learned not to rely on production and sale of sugar cane alone, but how important it is to diversify. The latest delivery of a tractor and equipment will help expand the vegetable production area to five (5) hectares. “The new tractor will help us to be more self reliant and boost production and people will have more to eat .” – said Amazias Cossa, Association member. “We did not have a decent house to live in when we started working in the Association. Over the years, and with the collaborative effort of the Association we now have a good home for our family, we’ve managed to send our children to school in Maputo and we bought a car to help us in other business activities.” – said Zulira Cuacua, Association member. The latest loan is one of the 460 credit operations realized by Gapi in the Agro Empreender program financed by DANIDA. A total of six thousand (6,000) people are now employed by micro and small scale agri-businesses in the rural areas. Of this thirty percent (30%) are women.